Wilton Manors, Florida– John Fiore, a candidate endorsed by the Gay and Lesbian Victory Fund has won his bid for mayor of Wilton Manors, Florida.,creating an openly gay majority on the City Council of this small municipality of 13,000 near Fort Lauderdale. Fiore's victory marked the first time an openly gay majority has been elected to lead a local government anywhere in the country outside of West Hollywood, California. A professional urban planner and 12-year veteran of the Council, Fiore's track record of sensible community development and fiscal conservatism is widely recognized as contributing to the city's economic turnaround and a doubling of property values over the last 10 years. His mayoral campaign focused on continuing the city's economic and cultural renaissance. Openly-gay Mayor Neil Giuliano Tempe, Arizona—Voters overwhelmingly re-elected openly gay GOP Mayor Neil Giuliano to a fourth term, casting 70 percent of their ballots in his favor. Tempe is the largest city in America with an openly gay mayor. "Neil Giuliano's overwhelming re-election is but the latest sign that voters are increasingly willing to pick candidates based on their individual merits, not their sexual orientation," said Victory Fund Executive Director Brian K. Bond. 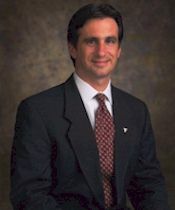 According to the Victory Fund, though sexual orientation did not become an issue in Giuliano's race this year, the mayor had been targeted by a campaign of anti-gay attacks late in his 1998 race. "We are very pleased that this year, the key question was who would make the best mayor for all of the people of Tempe," added Bond. "And the voters resoundingly told us that the answer was Neil Giuliano." Giuliano has earned broad-based recognition across party lines for his initiatives advancing neighborhood revitalization, economic improvement and youth development -- issues which he campaigned on and plans to continue to champion in his fourth term. One of only a handful of openly gay U.S. mayors, Giuliano has been a progressive leader in this generally tolerant conservative city. In June 1999, he cast a tie-breaking vote on the Tempe City Council in favor of offering health benefits for the domestic partners of city employees. Orlando, Florida--Meanwhile, in a closely-fought contest in Orlando, Florida, Patty Sheehan was the second-highest vote-getter in her non-partisan District 4 City Council race and will move on to an April 11 run-off against a first-term incumbent. By winning that race, she would become Orlando's first openly gay or lesbian elected official.